Since we’re quite fond of food, we’re also fans of the BBC Masterchef series. Preferably the original flavour, rather than the “professionals” or, much worse “celebrity” – who are these celebs – we’ve never heard of most of them [grumpy old fogies…ed]. The series has produced some real stars and the very first was Thomasina Miers. She won the very first of the revised and expanded Masterchef series in 2005. She then went on in 2007 to found Wahaca, real Mexican street food that’s a revelation. Really good value and lively, fresh flavours, it’s great to drop in for a quick lunch. 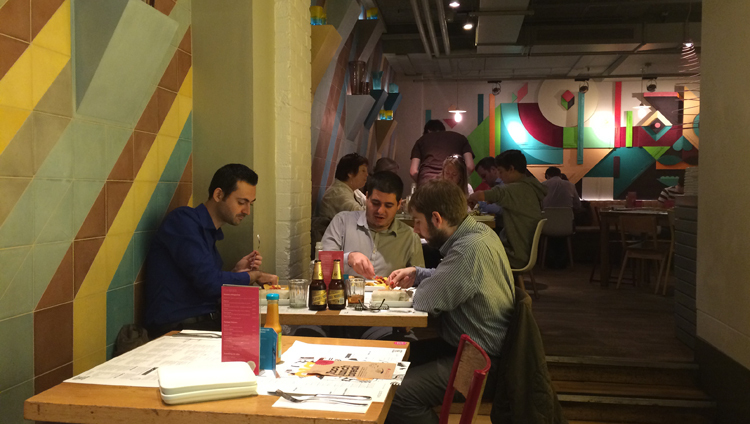 Wahaca has expanded in the city, with 14 locations in 2014, including street food outlets on the South Bank and Canary Wharf. Have a look at how they built the South Bank one. 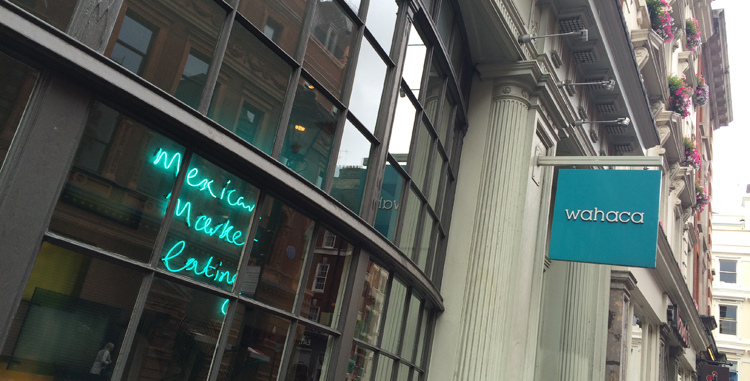 Restaurant Wahaca – Mexican market food – it’s zingy!